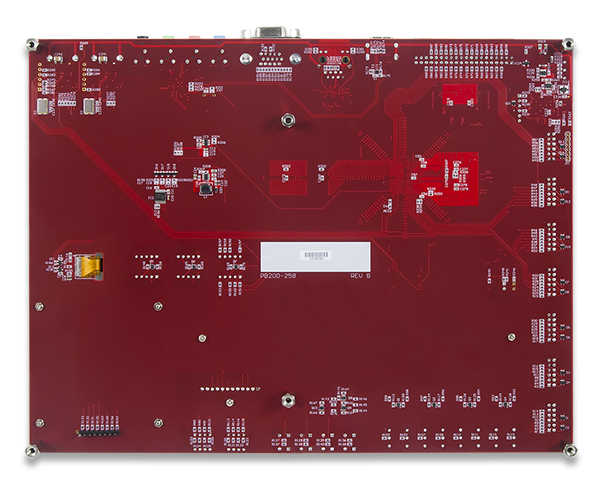 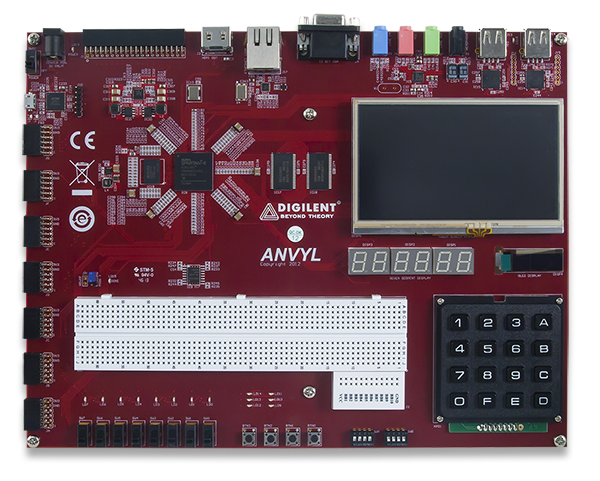 The Anvyl FPGA development platform is a complete, ready-to-use digital circuit development platform based on a speed grade -3 Xilinx Spartan-6 LX45 FPGA. 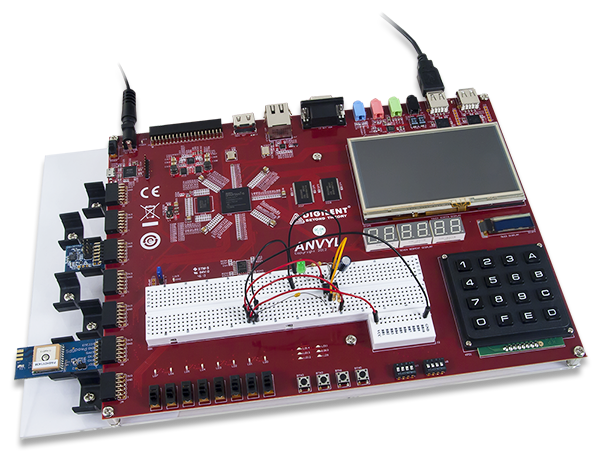 The large FPGA, along with the 100-mbps Ethernet, HDMI Video, 128MB DDR2 memory, 4.3” LED backlit LCD touchscreen, 128×32 pixel OLED display, 630 tie-point breadboard, multiple USB HID controllers, and I2S audio codec, makes the Anvyl an ideal platform for an FPGA learning station capable of supporting embedded processor designs based on Xilinx’s MicroBlaze. 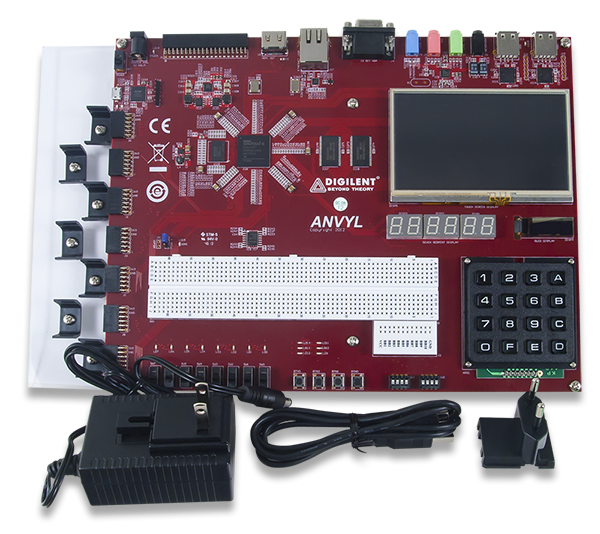 The Anvyl is compatible with all Xilinx CAD tools, including ChipScope, EDK, and the free ISE WebPack™, so designs can be completed at no extra cost. 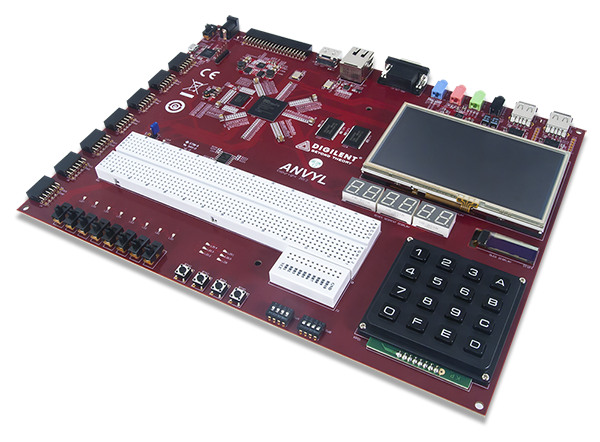 The board dimensions are 27.5cm x 21cm.